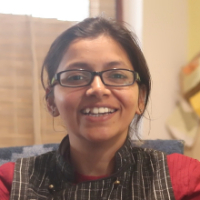 Mauli Mishra did her M Arch from CEPT University and after completing her education, she got an opportunity to work with Tibet Heritage Fund and CEPT University. She has also worked with Uttarakhand Tourism Development Board on Asian Development Board Projects . In 2017, she started her own venture of working on heritage conservation projects and presently works as a faculty at DIT University, Dehradun as well. Architecture is both the process and the product of planning, designing, and constructing buildings or any other structures. Architectural works, in the material form of buildings, are often perceived as cultural symbols and as works of art. Historical civilizations are often identified with their surviving architectural achievements. Conservation is the process of maintaining and managing change to a heritage asset in a way that sustains and where appropriate enhances its significance. "I did my B Arch from Government College of Architecture, Lucknow and M Arch from CEPT University. After completing my education, I got an opportunity to work with Tibet Heritage Fund and CEPT University. I also got an opportunity to work with Uttarakhand Tourism Development Board. In 2017, I started my own venture Artifacts & Habitats Sustainable Solutions and I also work as a visiting faculty at UPES, Dehradun."